We have always been fascinated by the power of Prezi presentations. It was a great relief from the world of boring powerpoint slides (read death by powerpoint). Prezi enabled your slides to come into life with zoom-in or zoom-out transitions that can augment the core idea that your slides are conveying. Using the Prezi designer tool one can layout the slides on an infinite canvas and it allowed all the transitions to be visually designed too. In short, Prezi was damn cool but that was until Impress.js happened. Impress.js transforms simple HTML elements into slides and it allows you to impart slide transitions such a zoom-in / zoom-out actions, clockwise or counterclockwise rotation, and even 3D effects. Impress.js does not depend on any styles sheet, the styling of the slides is done using CSS which gives you complete freedom in making your slides look stunning. Impress.js uses these attributes to define CSS3 transformations such as translate, translate3d, Rotate X, Rotate Y, rotate and scale. These transformations are applied to the divide as elements style attribute. 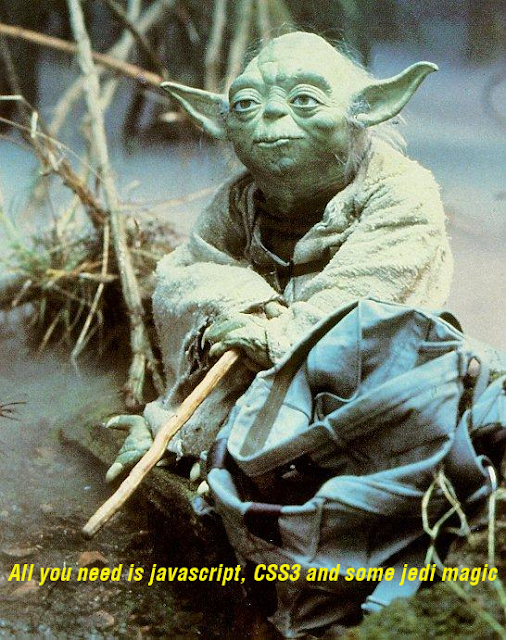 If you are not familiar with HTML, CSS3 or if the design is not your cup of tea you would not get much out Impress.js. That said, hope is not all lost as there are some open source Impress.js presentation designers on the way. Impressionist is one such design tool that will enable you to visually design your presentations. It is in its early stages but it's still quite impressive. You can get a preview of its capabilities from this blog. We encourage you to try it out, get those creative juice flowing and create some stunning presentations.